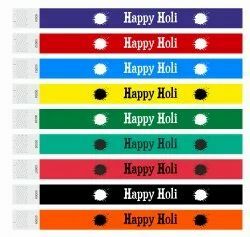 Leading Wholesale Trader of non tearable wristbands, entry wristband, one time use wristband, paper wristband, custom printed paper wristbands and ipl wristbands from Mumbai. 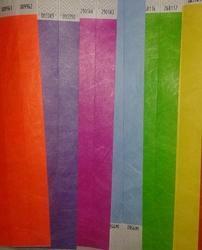 We are offering a superb quality range of Paper Wristbands. To enhance quality of our offered product, we use utmost-grade basic material in processing these products. Additionally,our offered products are passed through a series of tests ensuring their premium quality. Clients can avail the entire range from us in various sizes and colors at an affordable price. 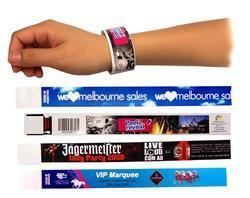 We are offering a superb quality range of One Time Use Wristbands. To enhance quality of our offered product, we use utmost-grade basic material in processing these products. Additionally,our offered products are passed through a series of tests ensuring their premium quality. Clients can avail the entire range from us in various sizes and colors at an affordable price. 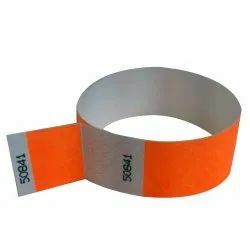 The highest quality Paper Wrist Bands. From entertainment to health care facilities, the most trusted security and identification professionals rely on our Paper wristbands. 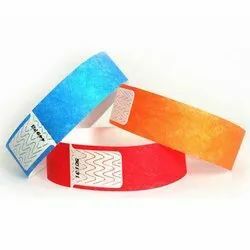 Available in a wide variety of colors, these striped and solid bands are waterproof, easy to identify, serial numbered, non-transferable, offered with tamper evident adhesive closure and can be customized with logos. non-tearable material. 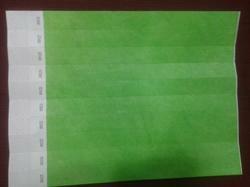 This technology is used in paper wristbands, tear-off ( Detacable ) style as well as the thicker party wristbands. These products are available with custom printing. Tywek wristbands are water resistant and have a waterproof adhesive guaranteed to stay on in the water. 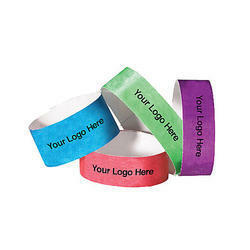 They are perfect for any short-term event, including Amusement Parks, Water Parks, Family Functions, School Functions etc.We print on wristbands as per clients requirement. 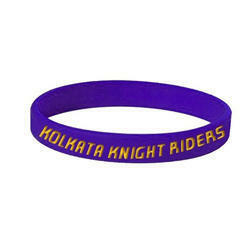 IPL Wristbands are used for promotional purpose. 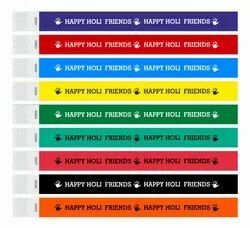 We manufacture wristbands as per clients requirement.We are a prominent industry dealing in the manufacturing and exporting process of IPL Wristband. Made under the strict vigilance of professionals, who strive to ensure complete satisfaction and flawlessness to the offered product so that it can be safely used by children and adults. 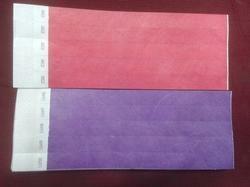 We are offering a superb quality range of Water Proof Paper Wrist Bands. To enhance quality of our offered product, we use utmost-grade basic material in processing these products. Additionally,our offered products are passed through a series of tests ensuring their premium quality. Clients can avail the entire range from us in various sizes and colors at an affordable price. 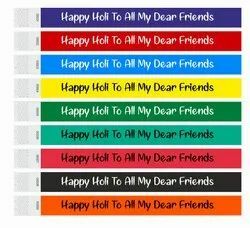 We are the supplier of Colorful Wristbands as per clients requirement. 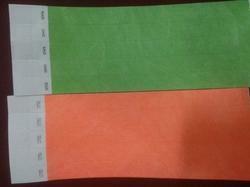 Each paper wristband is numbered on top of the adhesive for easy visibility. Each box contains 1000 consecutively numbered wristbands.Uses a strong adhesive closure that will adjust to every size wrist.Security die cuts are integrated into the adhesive closure to prevent individuals from transferring the wristband. 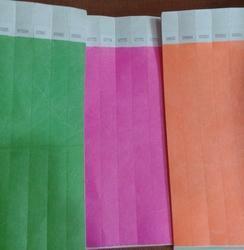 The highest quality Paper Identification Wrist Bands. From entertainment to health care facilities, the most trusted security and identification professionals rely on our Paper wristbands. 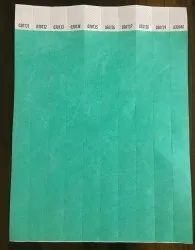 Available in a wide variety of colors, these striped and solid bands are waterproof, easy to identify, serial numbered, non-transferable, offered with tamper evident adhesive closure and can be customized with logos. 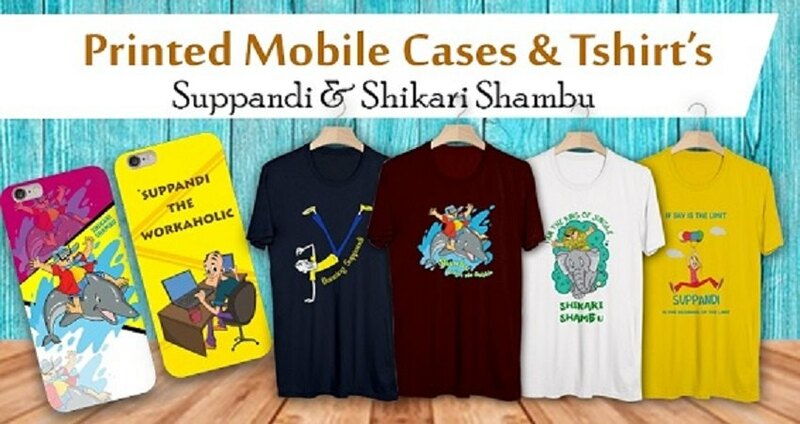 These products are available for custom printing. Our custom wristbands are the perfect security measure for all the occasions. 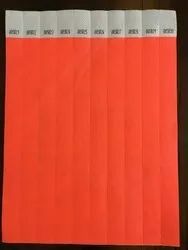 Customized Printed Paper Wristbands (custom printed paper wristbands) are water resistant and have a waterproof adhesive guaranteed to stay on. 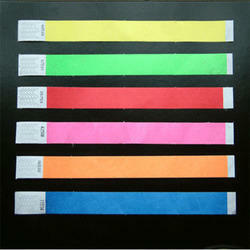 paper Solid Color Wristbands are made from strong, durable paper material. It also features an aggressive adhesive closure and tamper proof patented die-cut,which prevents transferability. 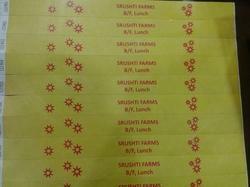 Paper wristbands are a cost effective alternative to printed tickets & hand stamping. 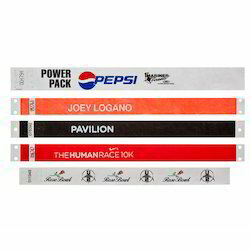 These wristbands feature a large printable area for custom messages, logos, graphics, event information, access areas and sponsor advertisements. 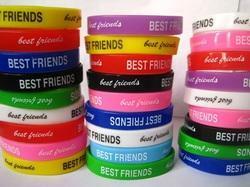 Owing to our large scale production facility we are leading manufactures, exporters, suppliers and traders of Promotional Wrist Band. We offer these products in a wide range of assorted colors and patterns. Customers are given the freedom to customize these products as per their requirements for cost effective promotional purposes. These are crafted from skin friendly and safe materials to ensure the customers reliable products that are efficient and safe. 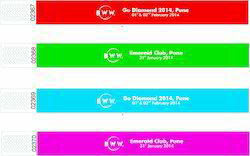 Wristbands are composed of a special material that are lightweight, tear, stretch and water resistant. 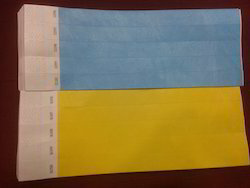 They come sequentially numbered and are available in a wide range of patterns and colours.Paper Wristbands are used for applications where a visual means of identification is needed like Admission Control, Age Verification. We are engaded in offering a wide range of Silicone Bracelets to our valuable customers. 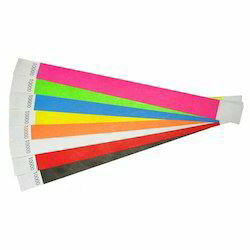 We offer Silicone rubber Bracelets in Any Color. All Material used are ECO Friendly and Safe for Children. Clients LOGO / Promotional Messages will be Printed on it. Standard Round and Button type wrist bands are available. We all have friends, some have few and some have many. Friendship is an important part of who we are. In the childhood days, friendship helps us to overcome the initial shy days of school. It is not necessary that children become friends immediately, they step in the kindergarten. Generally, the first person you meet on your first day at school gradually becomes your best friend after a few days. When we grow up, friendship plays a very important role in our life. Larger than what a family or your life partner plays, sometimes.